Ideal for Bioscience, Conservation and Photography students, giving you vital skills collecting data in the field, increasing your knowledge base, choices and employability. 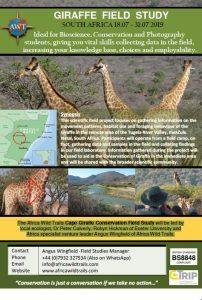 This scientific field project focuses on gathering information on the movement patterns, habitat use and foraging behaviour of the Giraffe in the remote area of the Tugela River Valley, KwaZulu Natal, South Africa. Participants will operate from a field camp, on foot, gathering data and samples in the field and collating findings in our field laboratory. Information gathered during the project will be used to aid in the conservation of Giraffe in the immediate area and will be shared with the broader scientific community. 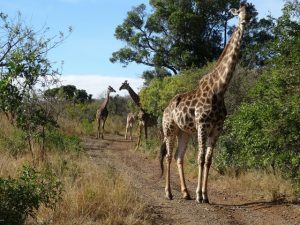 The Africa Wild Trails Cape Giraffe Conservation Field Study will be led by local ecologist, Dr Peter Calverly, Robyn Hickman of Exeter University and Africa specialist venture leader Angus Wingfield of Africa Wild Trails. 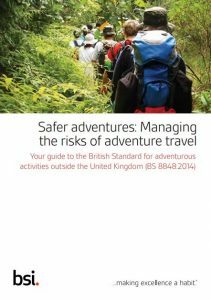 My son Archie is having a gap year prior to uni. He will be doing ab animal related degree (depending on A level results – aspirational being a vet). We are very interested in this or any earlier projects you are involved in.